Mention the name Bangladesh and the phrase "international basket case" comes to mind, along with monsoon drownings, starvation, stultifying heat, and oppressive crowding. But Novak in his beautiful, even lyrical, account argues that the country offers much more than this collection of miseries. Follow him through the seasons, the regions, the population, and the history of Bangladesh and you'll come away with an appreciation for this strange but wonderful place its Muslim conquerors dubbed the "hellish paradise." 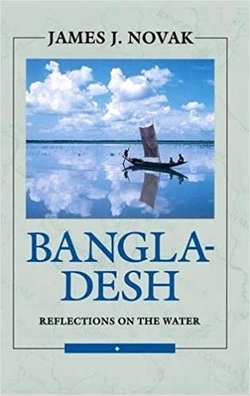 A few points of interest: the earth's largest flow of fresh water to the ocean leaves Bangladesh with the earth's richest, most intensely farmed land. Yet drought presents a greater danger than flooding. As its great ruins attest, the region has enjoyed periods of substantial prosperity, based on cotton, jute, or tea; its sophisticated Brahmo culture produced such figures as Rabindranath Tagore and Nirad Chaudhuri. The pauperization of Bengal goes back only to the great famine of 1943. In brief, Novak makes presents a tale so captivating, the tourist board's slogan "Visit Bangladesh . . . before tourists come" is likely to inspire in the reader a wild notion of seeing the place for himself - and not in the dry season, when the World Bank types arrive, but during the rains, when water covers over 80 percent of the country's land! Looking to the future, Novak sees Bangladesh as a "thriving, growing, dynamic country" that faces one terrible challenge: a population bomb that can destroy the nation's fabric. Barring unmitigated disaster, however, he expects Bangladesh will "survive and prosper in the years to come."